Fortress Of Freedom Board :: View topic - Citizen Journalists Of The World Unite! Citizen Journalists Of The World Unite! Posted: Sun May 02, 2010 2:56 pm Post subject: Citizen Journalists Of The World Unite! For the past six years IAIJ has promoted the idea of the Citizen Journalist as a viable alternative to the more traditional types of journalists. For six years I have sat here at this computer punching out reports, updating the website, laminating membership cards and recruiting new members and staff to our every growing association of journalists. This year marks the first time we made the move to establish the organization in the traditional and established venues where other traditional journalist organizations reside and interact. 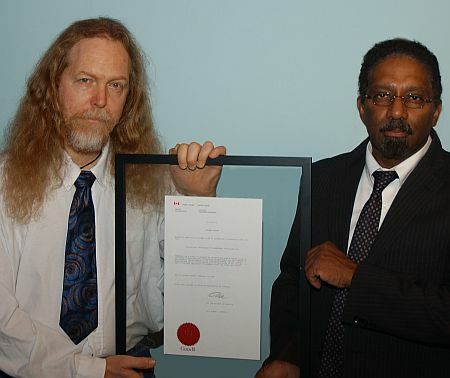 Dave Getchell and Maurice Ali (Directors) hold the Letters Patent of the IAIJ! IAIJ was born in October, 2003 as an association of journalists in partnership with Fortressoffreedom.com - a free speech board. We then printed our first newspaper in April of 2004. Many were shocked to see no advertising at all in the paper. This was by design. No advertising means no influence. Mark my word, as soon as you bring in advertising into a newspaper, they begin to have a say in the type of reporting that goes on. And if those advertising dollars are the only income that can keep the paper alive, you are effectively the puppets of advertisers and "their opinions and bias!" So our newspaper had twelve pages and no advertising. Strangely, if you take the advertising out of most community newspapers, they begin to look like ours and with the same amount of pages for the news. I tell you this to reinforce the fact that our newspaper is a real newspaper, as real as any you find at the convenience store or in your mailbox. We did this on our own and you who read this can do it too! And because we do it with no advertising, our paper conforms most truly to the ideal of a unbiased and influence free newspaper reporting of the news! Video News Reporting!/URL Press Verification Card!/The Fortress Newspaper! It is our task now, to branch out into the world and promote the viability of the Citizen Journalist to the public and mainstream media. In those past six years we have shown that we could access radio and television as well as put out our own real paper newspaper! We have shown by demonstration that anyone can access those formerly exclusive areas of the media that were, previously, the domain for the "real journalists." It is our intention in the next few paragraphs to show you that the Citizen Journalist can be as effective and as viable as any other journalist in traditional media! 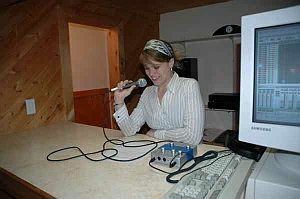 Our first television show aired in 2005 on Network TV (Global TV)! Our first documentary aired in 2009 on Network TV (CTV/ "A" Channel)! First of all, we must remember that prior to the Internet, broadcast media was the only viable way to disseminate information and this broadcast media was very expensive to maintain. Thus newsrooms and news agencies connected to broadcasters needed to rely on advertising and the wealthy to start the station/network and maintain it. This introduced bias into reporting. The person or persons who owned the news agencies most definitely want that newsroom to report things their way. It is no secret that the major newspapers and radio/television stations have obvious biases in the way they report the news and this is most evident in political stories. This is so obvious that we forget that an unbiased reporting of the news is the ideal because it so rarely exists in traditional media. It does exist in the Citizen Journalist who does not have an editor telling what kind of reporting he is to do or an advertiser influencing reporting to their advantage. No, the Citizen Journalist is free to tell it like it is, she or he does not owe their livelihood to a media entity that can fire them for not giving them the type of reporting they wish. In this way the Citizen Journalist is the closest type of journalism that reflects the ideal of news reporting from a fair and unbiased viewpoint. So we have seen that the Citizen Journalist and their small newspapers can operate independently and without bias from the wealthy. But understand too that this independence also means no involvement from the government. This usually happens in a roundabout way but governments can have an influence on reporting, especially broadcast reporting as the licences are renewed by government agencies. The papers have some protection here but pressure can still be applied in many, many ways. The past 100 years shows (and even the start of this century shows) how a government can pressure the news media to saturate the public with reporting that favors government initiatives. In a more balanced world with connected and organized Citizen Journalists, this type of media bias saturation could not exist as there are too many individuals for the government to pressure for biased reporting and thus shape public opinion. Citizen Journalists are best prepared to report the news to their fellow citizens without influence by their government! 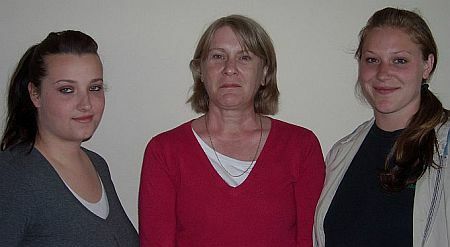 Samantha Blackwell (Office Staff)/Sue Earps (Director)/Ainsley Wronski (Editor of The Fortress)! 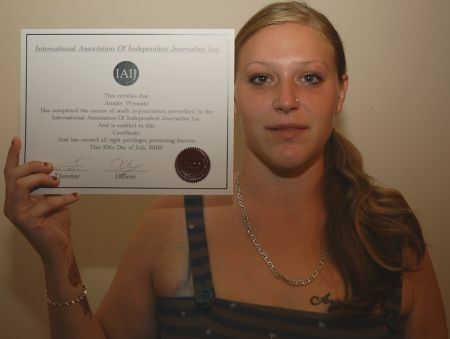 Diploma Program for self-improvement at IAIJ! So why is the Citizen Journalist not more prevalent in our society! The answer is because they are individuals and therefore isolated. The Internet has change things and associations and networking are now no more of a logistical problem. We have at this time the opportunity to network and create the associations needed to bring together the Citizen Journalists; and with the networked resources of this large group, we would most assuredly would have the types of capital and resources needed to compete with the traditional news agencies and bring balance to a biased news world. IAIJ is one such venue of networked journalists, and we have shown by example that we could access all forms of media to report on news and events of interest. This movement is happening around the world and has had dramatic influences, especially in places like South Korea. What Citizen Journalists need now is the recognition of the Citizen Journalist as a form of journalism on par with the traditional forms of broadcast journalism. Simple economic realities are forcing traditional news agencies out of local news venues as interest and dollars are spent on the national and international level. Citizen Journalists are best utilized at this local level to report on activities of interest to their fellow citizens and act as watchdogs for possible corruption and other such problems that would go unnoticed if not for the investigative nature of journalists. We have already begun this lobbying with our quest for membership with the Canadian Commission for UNESCO. This advocacy for this new type of journalism will take time and hard work. It is never easy to introduce a new form of communication to the traditional world of the mass media, but this task is worth it! With the maturation of the Citizen Journalist and their new networks for disseminating information to the public, we will never again have the public influenced to accept questionable government or business initiatives that would not have stood the test of acceptance with unbiased reporting. Never again will the public be manipulated into government aggression and war to nefarious ends as they will no longer have a stranglehold on the information the public gets and thus their opinions. Citizen Journalists and Citizen Journalism are here to stay and we at IAIJ will work to establish the Citizen Journalist as the best form of journalism for the public at large, and I, Maurice Ali - President of IAIJ, am committed to this task with every fibre of my being and you have my word on that, as a fellow Citizen Journalist!"